Jennifer Nansubuga Makumbi from uganda has won the Kwani? 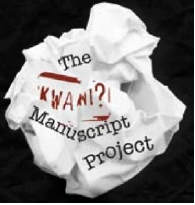 Manuscript Project, a new literary prize for unpublished fiction by African writers, for her novel The Kintu Saga. 2nd place has been awarded to Liberia’s Saah Millimono for One Day I Will Write About This War and 3rd place to Kenya’s Timothy Kiprop Kimutai for The Water Spirits. The winners were selected from a shortlist of seven by a high-profile panel of judges chaired by award-winning Sudanese novelist Jamal Mahjoub and including Deputy Editor of Granta magazine Ellah Wakatama Allfrey, leading scholar of African literature Professor Simon Gikandi, Chairman of Kenyatta University’s Literature Department Dr. Mbugua wa Mungai, editor of Zimbabwe’s Weaver Press Irene Staunton and internationally renowned Nigerian writer Helon Habila. Chair of Judges, Jamal Mahjoub said: “All three titles chosen by the judges display an urge to engage with the complexities of modern day Africa. They tackle issues such as civil war, the struggle against poverty, and the continent’s historical heritage, among other themes. As a manuscript award this prize naturally seeks to focus less on finding a perfect finished product than work which shows literary promise as well as a breadth and depth of vision. The winner and two runners up all reflect these values. The winner will receive 300,000 Kenyan Shillings (equivalent $3500), with 2nd place receiving 150,000 KShs and 3rd place 75,000 KShs. 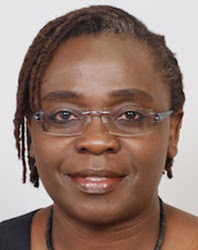 Jennifer Nansubuga Makumbi is an Associate Lecturer at Lancaster University where she completed a PhD in Creative Writing. She was born in Uganda and moved to the UK in 2001 to study for an MA. She lives in Manchester with her husband Damian and son, Jordan. Her work has been published by African Writing Online and Commonword. She also runs the African reading group, ARG!, in Manchester which focuses on obscure African writers. She is currently working on her second novel. Synopsis: At dawn, on Monday the 5th of January 2004 in Uganda, the curse of Kintu strikes. Kamu Kintu is brutally murdered by a mob in Bwaise. Three months later, ten men involved in his murder are found dead, their bodies strewn along Bwaise’s main street. The story then travels back to 1750, to the beginning of the curse in the old kingdom of Buganda. The Kintu Saga follows the misfortunes of the Kintu clan over 250 years, blending Ganda oral tradition, forms of myth, folktale and history with biblical elements. The novel explores ideas of transgression, curse and perpetuity, looking back at the history of Buganda Kingdom and tracing birth of modern Uganda. Saah Millimono was born in 1981 and is a graduate of St. Michael’s Catholic High School in Monrovia, Liberia. He worked for 6 years as a freelance fiction writer for the Liberian Observer Corporation and in 2009 won the Short Fiction Prize of the Sea Breeze Journal of Contemporary Liberian Writings. Synopsis: Tarnue and Kou are from different backgrounds, young, ambitious, and in primary school. Suddenly the Liberian Civil War erupts; they and many others are altered in ways they could hardly have thought of. One Day I Will Write About This War tenderly explores this unlikely childhood friendship and multiple human costs of war. Timothy Kiprop Kimutai is 27 years old and interested in finding an audience for his stories. He participates in creative writing workshops with Amka Space, a writing forum provided by the Goethe Institute in Nairobi. alongside the quotidian, exploring Kogi’s relationships with the water spirit, his newly-widowed mother Susanna and sister Chebet, and the pains of feeling powerless. Kwani Trust’s Managing Editor, Billy Kahora said, "In reviewing the shortlisted stories, I’m blown away by the potential these manuscripts hold, the different styles, concerns and voices that they bring to new contemporary African literature, and further add to Kwani’s fiction list. We can’t wait to bring them out as novels in the region and partner with publishing houses across the continent to make them available across Africa." Kwani Trust plans to publish the winners, as well as additional manuscripts from across the shortlist and the longlist , with the first titles planned for publication in April 2014. The Trust will also be partnering with regional and global agents and publishing houses to secure high profile international co-publication opportunities.